I was inspired to write something based on Vijay Iyer on Q2 Music's "Spaces". This video interviews Vijer Iyer in his own house, and shows you his studio. What inspired me about this video was Vijay's bookshelf. This may seem weird- to be inspired by a book shelf- but if you watch the clip you will see just how many books Vijay owns. And these books show the depth of Vijay's knowledge- from biographies to textbooks. When I listen to Vijay, I hear depth in his playing. And sometimes when I hear depth in people's playing I really start to wonder where exactly is this coming from? But when I see the bookshelf, and his enthusiasm for books, it shows me the depth comes from a full investment in the music. He knows what to play not just from experience, but from learning about the greats, their lives, and their history. In this way, I think learning about history is a huge source of inspiration. On my previous blog, "Finding a Voice", I shared Wayne Shorter's advice to read books to gain inspiration, because when you improvise you should be making stories. You can play a lot of notes, but if there is no internal story or plot there is no depth. So when Vijay shared his books I made this connection- great musicians read, or at least know great stories and how to tell them. Check out this great jazz autobiography! One jazz autobiography I enjoyed reading was "Music is my Mistress", by Duke Ellington. This autobiography shares many of Ellington's experiences from his prolific career. I enjoyed how he would have sections dedicated to other musicians, and he would talk about his experiences with them. These sections provided humorous anecdotes, as well as some heartfelt thoughts- you start to learn about the musicians beyond the music. You learn about Harry Carney's actual personality and how he was very quiet when he drove, or Duke's strong relationship with Billy Strayhorn and how he felt like they were two parts of a whole- and you start to admire musicians for who they were as people. 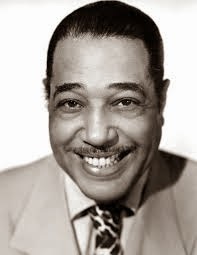 "Mood Indigo " is one of my favorite Duke Ellington songs! I feel like when you can look back on history, learn about the greats, and delve into who they were as people in addition to being musicians, you start to understand their music a lot more. I am not saying that you have to read textbooks to enjoy Duke Ellington or Thelonious Monk, but if you did read a bit about them you start to enjoy them in a new way. Duke used to always say "I love you madly" to his crowds, and knowing this small tidbit changes how I hear his music- I can feel the love, and his strong connection to everyone in the crowd. I have heard that reading teaches you to empathize, and I think this is true. Just like when a teacher tells you to learn the lyrics to your jazz standards, reading gives you the background for why and how something came to be. And personally, that inspires me. Share what inspires you in the comments!